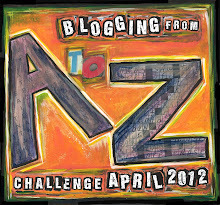 Have You Signed up For 2012 A-Z Blogging Challenge? Monday, January 30th: 1st day to officially sign up: Click on the A-Z photo above and it will take you to the official sign up link. So I thought I would get an early start, a jump so to speak and head over to Arlie Bird's Blog at 9:30 a.m and guess what? 162 bloggers have already signed up and this is day one, before noon. Wow! That is all I can say. Even though you can technically sign up until April, Arlie suggest signing up early because of all the pre-contest challenges. Those of you who participated last year know what this means, but I feel like a child waiting for Christmas. This is my first time to participate and the build up and anticipation is not unlike waiting to see what Santa brought me as a kid. So get yourself out there so other bloggers can find you. Two months of mingling and meeting and greeting will allow you to get to know the other participants which will be favorable to you when determining your April strategy. Alex Cavanaugh has an easy to understand explanation of exactly what the A-Z challenge is and what you will be required to do during the month of April as a participant. So head over now and sign up. The link will be open until Wednesday and after that you can of course still sign up, but by clicking on a tab or page link. You will also be able to sign up on any of the co-host websites. Don't worry, I am certain you will have no trouble finding the A-Z Blogging Challenge on almost every blog you visit. While Arlie Bird, at Tossing It Out is the brain-child behind the unprecedented challenge, he has some awe-inspiring co-host. For more information and to stay on top of developments, I have listed the co-host and a link to each of their blogs. I already mentioned Alex J. Cavanaugh, but here is a link to his homepage. The other co-host include Stephen Tremp, Jenny Pearson, Matthew MacNish, Tina Downey, Jeremy Hawkins, D.L. Hammons, Shannon Lawrence, Elizabeth Mueller, Damyanti Biswas, Karen Gowen and Konstanz Silverbow. The A-Z Challenge has a facebook page and the official email address for your questions and comments is 2012azinfo@gmail.com and the twitter hashtag is #AtoZChallenge. Are you participating? Have you signed up? Any advice for a newbie? Over two hundred now! Thanks for plugging the Challenge. Hi Melissa! I am way excited about the Challenge, too! Thanks for the shout out! I'm really excited for the A to Z challenge! My mom participated last year but that was before I started blogging. So this my first time! Can't wait! And I can't believe it! 200 people already?? Thanks for all this info! 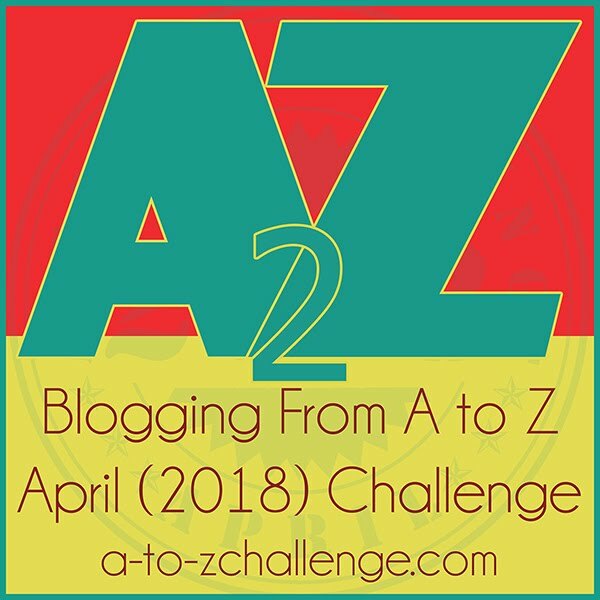 I have wondered about the A-Z challenge, but I haven't done it yet. I came into the blogosphere after April last year. I'm way excited about this. Sounds like so much fun and I can't believe how HUGE it is! WOW! That's a lot of entries. I signed up this morning. I think I'm #118. Hi Melissa. Thanks for stopping by. You've got a cute blog! I'm looking forward to the a-z challenge. It will be a big challenge for me because I usually only blog once a week! This challenge does freak me out a bit. I *may* try it though! Thanks for the follow and for the hilarious parenting story! Hi Melissa - What a great post promoting the upcoming A to Z Challenge. On behalf of the team I want to thank you for getting the word out to your followers; the more the merrier! Since it's your first time participating I wish to warmly welcome you to the fun and excitement that awaits you! You will really have a good time, and meet some wonderful bloggers too. Yes - I was surprised to see so many signed up already also!! My advice? Write some of your posts NOW and save or schedule them out. Because the daily A-Z Challenge is EXHAUSTING! But, so much fun!! Sounds like a good blogging challenge. Looking forward to reading some great blog posts. Your title is "have you heard"...and no, I hadn't! OK, I signed up. I'm pretty much regretting it already, since my posts are pretty time-intensive. But hey...why not? Thanks for sharing! Thank you for visitng my blog and for your sweet comments. It will be a challenge for me as well, because I never know from day to day if I will have time to blog. How humiliating. That was ten years ago and I still think about it. I did not participate last year, Jeremy so I am not really sure what I am getting myself in to. Great advice, Margo. I never even considered writing some of the post now. Thanks for sharing. I still am not really clear on what I am supposed to write about. Is is supposed to be focused on a central theme? Me too, Denise. Although I am still a little confused about the central topic for the different letters. I am glad you signed up, Stephanie. Don't regret it. What is the worse that can happen? You don't finish, no big deal. You will make lots of new friends. That is how I am looking at it. Thank you for stopping by. I understand about the time issue. I sort of feel the same, but want to give it a shot.